Set to arrive in late July-early August, Topps Chrome, Topps Finest and Bowman Platinum will look a little different than in previous years. Though limited in production, Topps will to add more veteran star autographs featuring the likes of Albert Pujols, Justin Verlander, Matt Kemp and more. · Faces of the Franchise Autographs #’d to 15 or less. Includes Matt Kemp, Chipper Jones and more. · Dynamic Die Cut Autographs #’d to 25 or less featuring stars such as Albert Pujols. · Cut from the Same Cloth Autographs #’d to 5 are dual sided cards featuring 2 star autographs such as Josh Hamilton/Nelson Cruz. 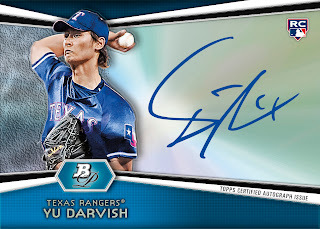 · Cutting Edge Stars Autographs #’d to 25 or less. Includes Robinson Cano and more. · Purely Platinum Autographs #’d 1 of 1 featuring Clayton Kershaw, Dustin Pedroia and more. These star autographs will replace a rookie/prospect autograph. 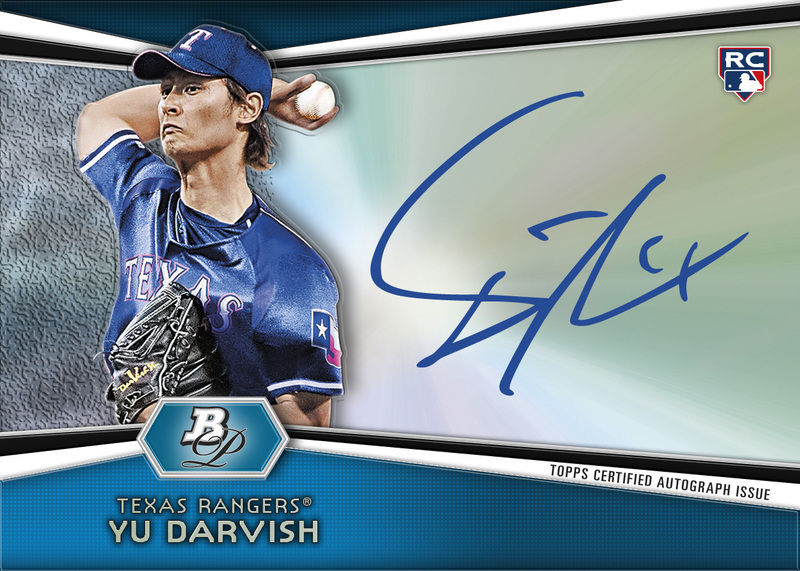 I think I might be the only one in the world looking forward to Finest, and it has nothing to do with Darvish.